The legendary sportscaster and accomplished actress were keynote speakers at the recent Orange Catholic Foundation’s annual conference on business and ethics. The Orange Catholic Foundation, which raises funds for Catholic schools in the Diocese of Orange, California, held its 15th annual Conference on Business & Ethics in May at the Anaheim Hilton, a hotel across the street from Disneyland. 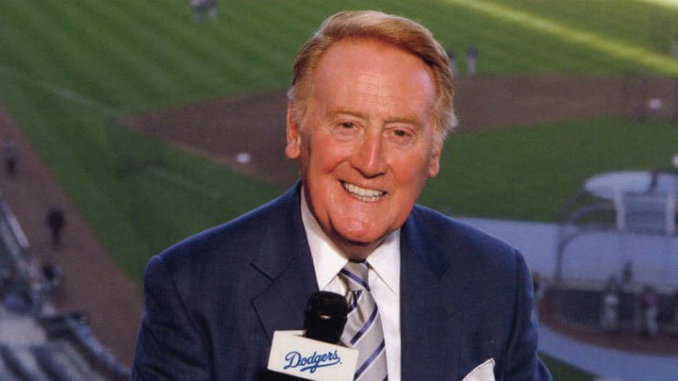 The duo keynote speakers for the morning were two Catholic celebrities, retired Los Angeles Dodgers baseball sportscaster Vin Scully and actress Patricia Heaton. Scully is originally from New York City, where he attended a Catholic grammar school ran by the Sisters of Charity. He later moved on to Jesuit-run Fordham University. Among his special memories, he said, was being part of an audience with Pope Pius XII in 1956. The normally golden-tongued Scully was so nervous his knees wobbled and he was speechless, he said. The pontiff greeted Scully’s friends who stood alongside him, and then moved on to Scully. He asked the sportscaster, “Are you with them?”, referring to his friends. All the tongue-tied Scully could manage was a nod, and the pope moved on. Conference participants were given a CD featuring Scully narrating the rosary, produced by Immaculate Heart Radio. At the end of the conference, Scully joined with the 1,100 attendees in reciting a decade of the rosary in honor of the 100th anniversary of the Marian apparitions at Fatima. 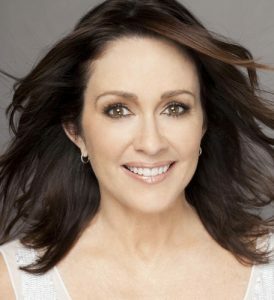 Patricia Heaton’s credits include Everybody Loves Raymond and The Middle. She was “steeped” in Catholicism growing up in Cleveland, she related, including daily Mass for her mom. Her oldest sister, in fact, went from being a college campus radical to traditional nun with the Dominican Sisters in Nashville, Heaton said. Listen to both talks on the Orange Catholic Foundation website. I have always admired Patricia heaton for her courage in faith…I did not know about her history. We are about the same age. Turns out I had a very similar experience living in NYC in the late 70s/early 80s. The gift that the annulment process gave to me still reverberates 30 years later. How difficult is the annulment process?